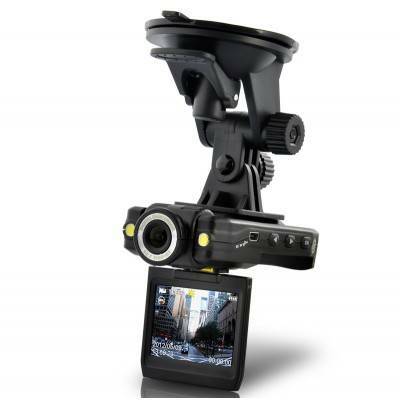 The flip down screen will not only help you find the ideal recording angle, showing you exactly what the camera is seeing live, but you can play back the footage you have recorded on the spot, perfect for showing to an officer after an accident, or the valet's boss. 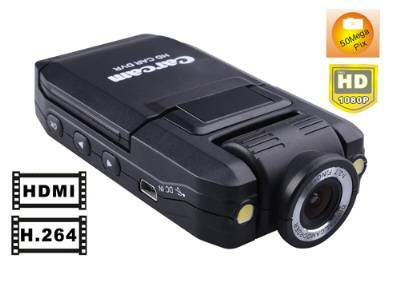 The device records in high resolution (1280 x 720) using the H.264 video format to ensure that every detail is recorded with crystal clarity. 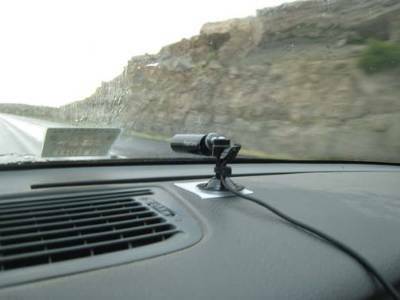 With the screen closed most people think it's a radar detector or GPS attached to the inside of your windsheild. Just make sure your cigarette lighter plug is active when your vehicle is powered off. 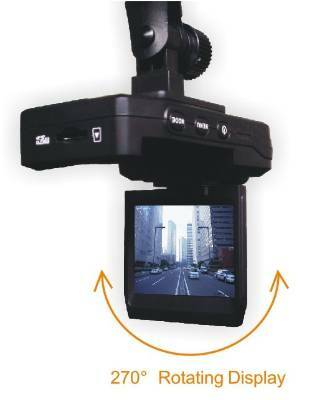 This way you can record motion activated video while sleeping, helping you catch whoever is vandalizing your car. It is a color camera so make sure you park under a street light. Infrared is not available with this type of camera since it would reflect on the window.